Do you know what shoelaces are made of? Most are made of rope making materials, such as cotton, hemp, leather, etc. And these materials accumulate dirt, grime faster even though laces roughly touch the ground. A pair of filthy shoelace will harm your overall outfit, no matter how fresh or stylish they are. On the flip side, dirty shoelaces would get smelly with time which could turn into an embarrassment for you, when you are in between of a meeting, or hanging out with your friends, or dating your girlfriend or whatever. But luckily, there are some ways which can help you to clean your shoelaces and the best part is, you won’t have to pay a big buck for that. Yes! In this article, I am going to show you how to clean shoelaces perfectly. So shall we get started? How to clean white laces? You have to be little careful when cleaning white laces because white thing gets stained quickly. On the other hand, stain marks on whites are highly noticeable. And to remove stains from white laces we are going to use bleach, although it is a harmful chemical. Before you step on to cleaning white laces with bleach make sure you wear rubber gloves and eye-glass. Don’t make the mistake of cleaning laces when they are attached to the shoe. You’ll be able to clean them way more effective if you remove them. Scrub the lace with the brush in order to loose dried and caked on dirt and grimes. Brush back and forth, all dried dirt should come off with the scrubbing. Now mix three tablespoons of bleach into one-gallon water. You can add a little amount of detergent too. Mix them up to make a solution. In this step, you have to wear gloves. Put all the laces into the laundry bag and soak the bag onto the solution. Now take spoon or spatula and stir the laundry bag into the solution. Keep them on the solution for several minutes. Make sure you never put bare hands on the solution that contains harmful chemicals like bleach. Use rubber gloves. After 5 to 10 minutes take off the laundry bag from the solution. And brush the laces again back and forth, it would be the final scrubbing. If you have a washing machine in your home you can launder the laces putting them into the laundry bag, and try to add some bleach and detergent for better cleaning. If you don’t have a washing machine, no problem, hand scrubbing will be enough. Hang the sales on the sink or over a towel to dry. Never put them on the dryer, it would damage the laces. How to Clean Colorful Shoelaces? Cleaning colorful laces are almost similar to cleaning white laces. But instead of bleach, you have to put detergent. Why not bleach? Because bleach is a very aggressive chemical and it can make the actual color fade, which you definitely don’t want. And the rest procedures are the same as cleaning white laces. Scrub the laces with an old toothbrush to loosen up the dirt and brush back and forth, it is effective for lace cleaning. Now instead of bleach, put a gentle amount of detergent onto one-gallon of water and keep stir them until they become soapy. If you want, you can use the laundry bag or you can just the put the laces into the soapy water. Keep them into the solution for at least 15 to 20 minutes. After than pick them up and brush again back and forth, it’s the final scrubbing. Once you are done, allow them to dry but don’t set them on dryers, you can use direct sunlight to make them dry. That’s all. How to clean leather shoelaces? Cleaning regular laces and leather laces are not the same. As leather is much delicate, so they require special care. On the other hand, leather materials accumulate less dirt than the regular laces and that’s a relief. However, let’s take a look at leather shoelaces cleaning process. The first thing you would want to do is remove the laces from the shoes so that you can clean the laces effectively. Now rub the lace back and forth with a soft brush. Don’t use hard brushes, that might damage the leather. Or instead of the brush, you can pick a soft bath sponge. Spray very little amount of water into the laces and then rub with the sponge, most of the dirt will be washed then. Use a gentle amount of saddle soap in the warm water and mix them. Now dip the sponge slightly into the solution and apply on the shaft of the lace. Never put any leather material directly onto any liquid solution, it will damage badly. After cleaning the laces, allows them for dry in a soft towel. Make sure you never put them to dry in the direct sun, that will make them lose the natural color of the lace. Before advancing to the next step, laces should be completely dried. Once the laces are completely dried, apply any kind of natural oil on the laces such as coconut oil, olive oil, etc. Pick a clean rag and place the laces above a drop cloth. Then take a very little amount of oil on the rag and rub. It will enhance the appearance of leather and will soften it. After completing the oil rubbing process, now allow your laces to dry for 1 hour at least. If the laces are not dried completely after one hour, leave them for another hour. You should not re-lace until they are completely dried, otherwise, it will stain the shoe and loose its classy appearance. Cleaning shoelaces are really easy when you know what to do. If you follow the given procedure, you’ll be able to clean your shoelaces effectively, there are some other effective ways too but I have shown you only what worked for me. 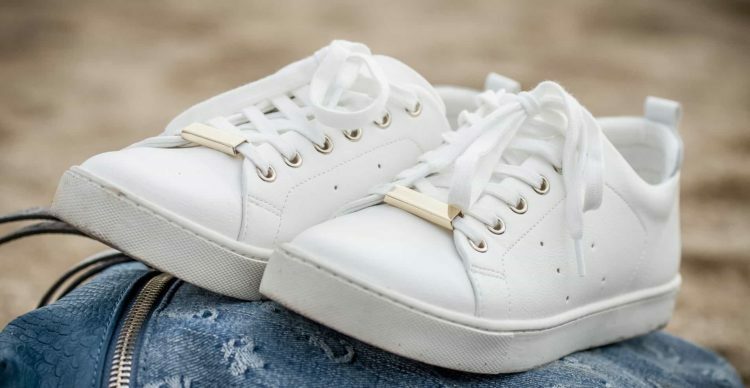 Nevertheless, hope this article helps you to learn shoe lace cleaning and again, probably I have said this two to three time, never put your bare hand on the bleach. Use rubber gloves and eye-glass to prevent unwanted accidents.